I've always found the idea of going on a cross country road trip to be both intriguing and intimidating at the same time. Intriguing because of all the sites I would see and adventures I would get to experience that I wouldn't be able to otherwise. Unfortunately, a part of me can't get over the minor detail of having to sit in a car for three weeks straight. Sure, the first few hours, or even days of road games could keep me entertained. But there are only so many games of "I Spy" a person can play a week. When my college roommate told me she was going on a road trip to celebrate her college graduation, I admired her for wanting to do something I'm pretty sure I could never do. So as a graduation gift, I decided to put together a road trip entertainment kit for her to take on her three-week adventure. Aside from the usual miniature versions of board games, a comfy neck pillow, a grocery store gift card, and a Snuggie, I decided to include a couple electrical products from Accessory Genie I was sure would come in handy. The first was the FlexSmart X2 Wireless Bluetooth FM Transmitter. With its flexible neck, the FlexSmart X2 can easily plug into most DC outlets and wirelessly connect to and play audio from any Bluetooth enabled audio player, including smartphones, mp3 players, and tablets. In addition to playing clear music from a Bluetooth device without having to connect to it any wires, the FlexSmart X2 also has a useful hands-free calling feature that would especially come in handy on a road trip. 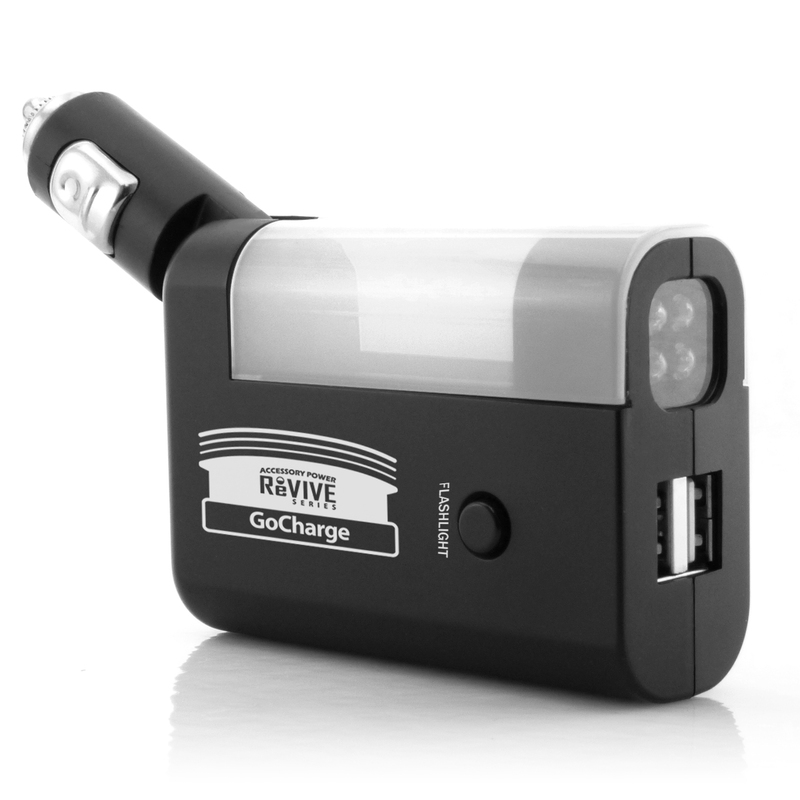 Another product I added into her basket was the ReVIVE Series GoCharge, a great universal charger that can charge small devices like smartphones and MP3 players through AC power, DC power, or the internal rechargeable battery. Its compact and lightweight design makes it a great single charger for the road, even being able to charge two devices at the same time through a USB cable. After making this fun gift basket for her to take along on her road trip, I felt the urge to go on one myself. Despite my anxieties, I know with good company and entertaining and useful devices like these, a road trip may be bearable, and maybe even fun! Visit AccessoryGenie.com to check out these and many other exciting devices and accessories!